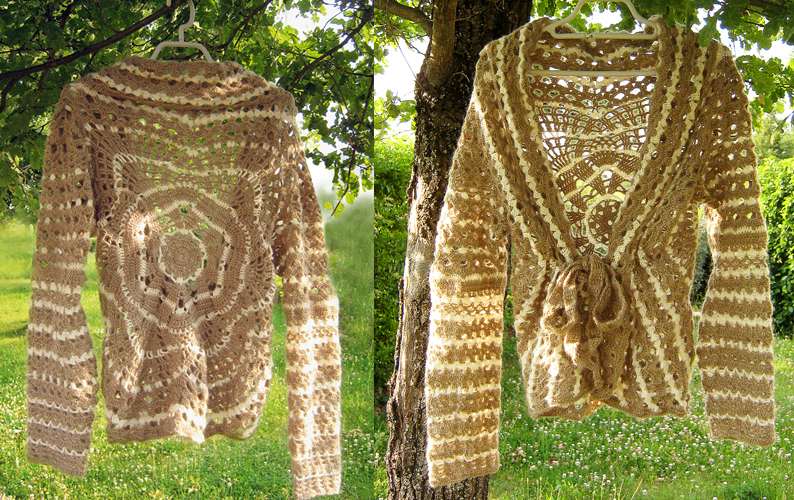 Circular pineapple motif crochet cardigan with sleeves and belt. Bottom part is wider for better fitting. Yarn used: 35 % mohair and 65 % acrylic wool. Size: 38 (European size).